Winter is here and it's time for the hosts of Hogwarts Radio and The Podcast That Drinks and Knows to discuss season 8 of Game of Thrones. Welcome to Time Turner Thursdays a special feature of Hogwarts Radio that revisits some of our more popular episodes over the past 10 years. Episode 240 is here and so are we! Join Terrance, Bailey, and Alex as they jump into the studio for another episode! Join Terrance, Gretchen, and Alex for discussions on the history of the franchise and the state of the fandom. 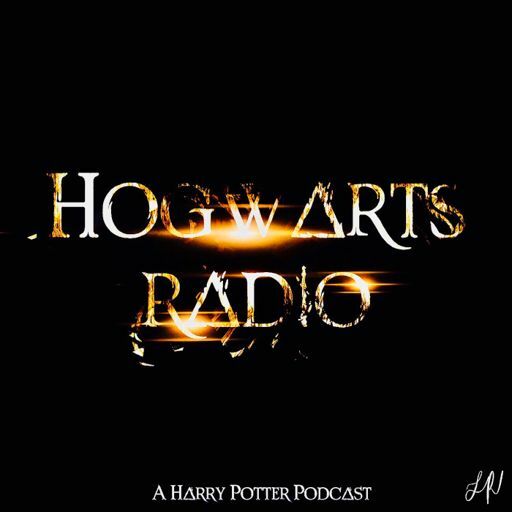 Hogwarts Radio #236: Twerk With It, Jo! It's a full panel this week with Terrance, Bailey, Gretchen, Luke and Tylor! Join Terrance, Bailey, Gretchen, and Alex for episode 235! The hosts ponder the ramifications of Vertiaserum and Memory Charms. WE ARE SO CURIOUS. Join Terrance, Gretchen, and new part-time hosts Tylor and Kelsey for episode 234! Join Terrance, Bailey, Luke, and Gretchen for episode 232! We are podcasting through the polar vortex! How cold is it where you are? Join Terrance, Bailey, Luke, and Gretchen for episode 230 as they discuss superfans and Dean Thomas! Hogwarts Radio #229: Are Broomsticks Comfortable? Happy New Year and welcome to episode 228! Join Terrance, Luke, Bailey, and Gretchen for their first episode back together in... months? Episode 226 is here! Terrance, Bailey, and (appearing for half the episode) Gretchen are joined by listener Elizabeth Sartor! Hogwarts Radio #225: WE WERE ON A BREAK! Welcome, welcome to another yea— err… episode of Hogwarts Radio! What were our takeaways from Crimes of Grindelwald. Would this story have been better as books first, films second? The hosts end with a rousing game of Avada Kedavra, Amortentia, Imperio! Terrance and Gretchen are joined by Lizzie from SpeakBeasty for episode 223! Terrance and Gretchen are joined by guests Kari Lewis and Sydney Mook to discuss their initial reactions to "Fantastic Beasts: The Crimes of Grindelwald". This is filled with spoilers, beware! Join Terrance, Bailey, Gretchen, and guest Marissa for the last episode before Crimes of Grindelwald is released! Is WB worried about filling seats for CoG? Amy Hogan from MuggleNet and SpeakBeasty joins us this week! We present to you episode 219 of our #FantasticBeasts / #HarryPotter podcast! Same great taste and now just half the calories. Join Terrance, Bailey, Luke, and Gretchen for episode 218, which is all about Newt! Episode 214 is here! Terrance joins Bailey, Luke, and Gretchen from Paris! Join Terrance, Bailey, Luke, and Gretchen for episode 213, in which we finally finish our Marauders series with part 2 of Remus Lupin! Episode 212 is here! Join Terrance, Luke, Bailey, and Gretchen as they discuss Remus Lupin, the last of the four in our Marauders series! Join us for episode 211, the third and final part of our discussion on Sirius Black! Happy September 1st! How was everyone’s trip back to Hogwarts? Hogwarts Radio #210: Where Can You Get Cheese In The Wizarding World? Episode 210 is here! Join Terrance, Bailey, Luke, and Gretchen as they discuss Potter reunions, Sirius Black, and more! Episode 208 is here! Join Terrance, Bailey, Gretchen, and Kelsey as they discuss the Fantastic Beasts news and the life and death of James Potter. Thank you for ten years of magic! The Hogwarts Radio hosts celebrate the anniversary with a special episode. Hogwarts Radio #206: What's Your Zodiac, I'm a Gryffindor! Episode 206 is here, and we are joined by Tessa and Brizzy from Fantastic Geeks! The all new Crimes of Grindelwald trailer is here and so are we! Hogwarts Radio back in the studio to break it all down. Join us as we go scene by scene, frame by frame to discuss everything! A re-release of our discussion on the FIRST Crimes of Grindelwald trailer! Episode 204 is here with the latest in Fantastic Beasts news, a breakdown of Peter Pettigrew, and more, brought to you by Patreon producer Sydney! Episode 202 is here! Get ready for some new segments and awesome announcements! And then there were 6. The panels from TPTMNBN and TPTDAKT join us! We present to you, the 200th edition of our Harry Potter podcast! How many of you knew there was an architect of Hogwarts? We have NEW ALBUM ART! We're back for Episode 199 of our FANTASTIC Harry Potter podcast! Kelsey Cooper guest hosts with us this week. Tylor Starr from the Protego Foundation and Chickpeeps podcast joins the panel this week! What current campaigns is The Protego Foundation running? Congratulations to Matthew Lewis and Angela Jones on getting married this past weekend! Screenplay cover art for Crimes of Grindelwald released! TADA! We're here for another week of FANTASTIC Harry Potter podcasting! Kim and Felicia from the Harry Potter Revisited podcast join us this week. Hogwarts Radio #195: Finally, TWO Colors Of Lockhart's Robes! The Hogwarts Radio crew assembles and feels nostalgic for the WWoHP theme park. What are some of our favorite things to do there? Happy Mothers Day to all the mothers out there! We give our thoughts on Hogwarts Mystery as we’ve had more time to play it. There and back again, a Hogwarts Radio tale, jk... Rowling. Speaking of Jo, she's been hanging out with Ilvermony Professors in NYC. Hogwarts Radio #192: Uagodou Some Research! Goblet of Fire illustrated edition is pushed to Fall 2019 and we're not even mad. Hogwarts Radio #191: Can You Smell What The Podcast Is Cooking? We kick off this week’s episode Introducing Gretchen Roesch as a permanent addition to our family! NEW Scholastic covers for the 20th anniversary! Hogwarts Radio #189: Bring Back The Old Pottermore! We’re back for an abbreviated show this week! Special guest Roxy joins us! It’s our second episode in just a few days! We’re back with more Wizarding World and Fantastic Beasts discussion. Welcome to a special edition of Hogwarts Radio! Things get REAL WEIRD this week. Welcome back to another wonderful week! Answer a few quick questions to join our team to get in on all the fun. Megan and Katie from Swish and Flick return! Whaddup ladies?! We have special guest Kari Lewis on the show this week! Megan and Katie from Swish and Flick join us again. HogwartsRadio.com turns 10 years old today! Zemmer Galpaz and Kim Fritz join us as we discuss the BIG news. We welcome Dana Monsees as our guest host this episode! Hogwarts Radio #179: Stop Chasing The Niffler! Another month gone by, and boy was it a busy one! What is our favorite spell? Lots of news to catch up on. Favorite foods in the Wizarding World! Now that we've made everyone hungry, it's time to DEVOUR this week's episode! Hogwarts Radio #177: Y'all got any more of that Harry Potter? We're getting into Mischief this week! The cast of the Mischief Managed podcast joins us as we dive right into the week's news! Hogwarts Radio #176: Why's Jon Snow not a Ravenclaw? B'cause he know's NOTHIN'! HAPPY OCTOBER! It's another wonderful Pumpkin Spice filled month! Meka from the Houston Harry Potter group joins us this week. RATE and REVIEW our show on iTunes! The crew jumps into another episode of our Harry Potter podcast! Kirstyn Hippe joins us! Make sure you subscribe to her YouTube channel! The gang reunites for another fun filled episode! Kim Fritz from the Harry Potter Revisited Podcast joins us. FBAWTFT trailer is released, does it meet our expectations? We discuss going into the new films, what we NEED to see. The Great Horcrux Debate! Did Harry Die at the end of Deathly Hallows? Jo answers a few lingering questions from fans on Twitter! Are you considered a Harry Potter fan if you've seen the movies, but never read the books? The hosts have very different opinions as they dish the deets on the latest episode of Hogwarts Radio!